This article first appeared in City & Country, The Edge Malaysia Weekly, on July 17, 2017 - July 23, 2017. THE retail industry is going through turbulent times, thanks to the implementation of the Goods and Services Tax, the sluggish economy and the depreciation of the ringgit. But, is there light at the end of the tunnel? Most retail consultants and property experts tell City & Country that the situation will get worse before it gets better, with some hoping for a turnaround by year end. “This year, we will see some price adjustments because the weaker ringgit has made some products dearer,” says Allan Soo, managing director of Savills Malaysia. remain very weak in the next few months. We have witnessed a higher rate of shop closures across the country in the past one year. The occupancy rates of newly opened shopping centres were also poor in the last six months. Many new commercial centres are experiencing poor take-up rates as well,” he says. Lou Minn Yian, head of commercial real estate at LaurelCap Sdn Bhd, forecasts “an estimated overall sales growth of 1% to 2%”. “As most branded products are imported in US dollars, a weaker ringgit means higher prices, thus reducing consumers’ purchasing power,” she says. However, according to Kavita Rekhraj, Deloitte’s consumer and industrial products leader for Malaysia, a “rebound in headline economic growth in the latter half of the year” is expected and “rising consumer incomes are expected to underpin the expansion in retail sales”. Growth is expected to be between 3% and 5%. “The largest contribution to growth will continue to come from online shopping,” she says. Chua, who is also the founder and group managing director of Rotol Group, adds that most Chinese tourists spend RM3,500 to RM4,000 per trip, which is a substantial amount. On what MRCA members are doing to weather the tough times, he says some are rationalising their business while others are collaborating with other brands. Malaysia Shopping Malls Association (PPK Malaysia) president Tan Sri Eddy Chen says while sales of fashion goods have slowed, the food and beverage sector is still doing well. “Many malls thrive on the F&B business — food and beverages are something people will continue to pay for. Furthermore, food and beverages at malls are cheaper than at boutique restaurants. Also, there is a wider variety ... 40 to 50 types of food at a food court,” he says. Chen, who is also the managing director of property development company MKH Bhd, reveals that the bigger malls in good locations with critical mass in the Klang Valley are doing well, as are some suburban malls. As a result of the slowdown, retailers and landlords have to come up with strategic plans to ensure they stay afloat. According to research by Savills, the supply of mall space in the Klang Valley as at end-2016 was 60.2 million sq ft. This year, 2.95 million sq ft is expected to come onstream. 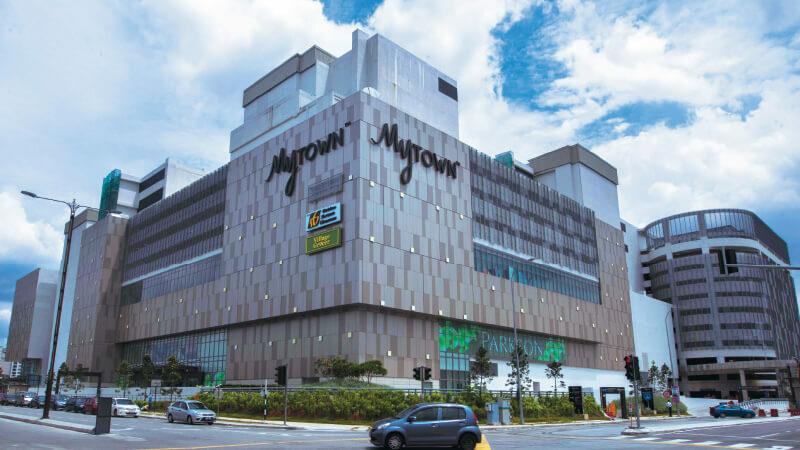 Among the malls that opened recently are MyTOWN (1.1 million sq ft) and KL Gateway Mall (400,000 sq ft). Those scheduled to open later this year include M Square (380,000 sq ft), Melawati Mall (620,000 sq ft), Four Seasons Place (200,000 sq ft) and Evo Mall in Bangi (251,000 sq ft). Soo’s advice to landlords is simple: attract more traffic. “The landlords have to work hard to attract customers with more promotions ... actively searching for and engaging with shoppers, perhaps via social media,” he says. She adds that landlords need to work hard to retain tenants. Rents may need to be lowered initially but can be adjusted accordingly over time. A good tenant mix and an efficient management are vital to attract shoppers. “Landlords should ensure washrooms, car parks and so on are in good condition for the comfort of shoppers. Some older malls are losing their market share to newer or refurbished ones,” says Lou. 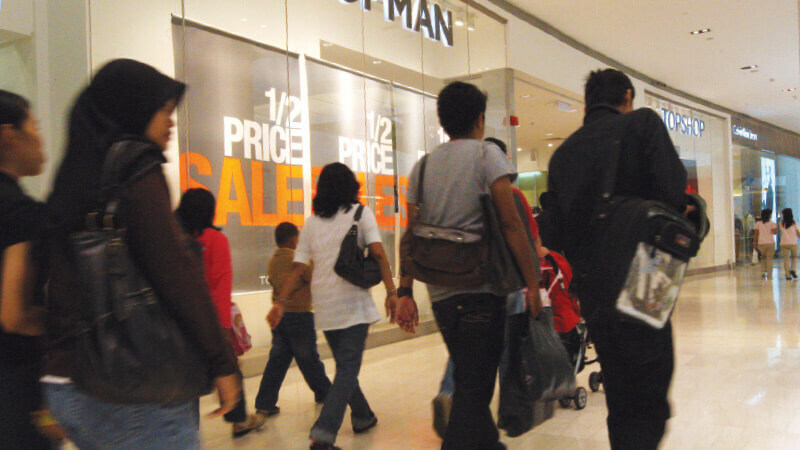 Retail Group Malaysia’s Tan says landlords should “ensure their tenants have sufficient sales to ride the current economic situation”. “While the landlords may offer temporary rental incentives to the tenants, the latter must play their part by working hard to get shoppers to buy,” he adds. Deloitte’s Kavita believes retailers need to look at the headwinds on two fronts. The first is the macroeconomic situation where “heightened global financial stress, exacerbated by a depressed ringgit, will continue to dampen consumer sentiment”. The other front is the tech-savvy consumer. “The tight economic situation will drive more consumers to go online to find the best price,” Kavita says, adding that retailers need to “strategise and customise their digital offerings to serve their diverse customers”. While consumers may be looking for good deals online, they also want a good shopping experience. Hence, Kavita advises landlords to constantly upgrade their space to remain competitive and carry out more activities to promote their malls. “As the Klang Valley in particular is becoming more urbanised, shopping malls need to keep up with maintenance to remain attractive and bring in new retailers and brands to refresh their tenant mix and attract shoppers from all over,” she says. PPK Malaysia’s Chen believes that mall managements need to change the way they do business, for instance, bringing in businesses that do not usually operate out of malls such as logistics companies, online outfits and educational institutions. The growing appeal of online shopping is giving bricks-and-mortar stores and malls a headache. However, it does not mean that this could mark the death knell for the conventional retail business as e-commerce penetration is low. While online shopping may be still slow-going, some brands are already looking at capitalising on this untapped market. “Online retail is on the rise among the younger generation. They are comparing and researching, and as a result, sales of some brands have gone up,” says Soo. “One of the fast fashion brands (which he is unable to reveal) will be launching its online sales app this year. And this means you can buy clothes using your phone. Once they start doing that, they obviously have to make sure their RFID (radio-frequency identification) technology is capable of handling the additional sales channel properly so that the customer doesn’t face the problem of having to wait long for purchases to arrive.” Soo believes shopping apps will be the norm in the near future. Lou says PricewaterhouseCoopers’ Total Retail 2016 report reveals that “online shopping is gradually become a new trend among Malaysians, with at least half of consumers making online purchases at least once a month”. Also, Southeast Asian countries are leading the way in the use of mobile phones to make purchases — 66% of consumers in Malaysia and Singapore, and 73% in Thailand. The world standard is only 54%, she says. She adds that online shopping will make an impact this year as more purchasers are drawn to good offers. WeChat is a Chinese social media mobile application developed by Tencent Holdings Ltd.
Those who have invested in real estate investment trusts (REITs) with malls in their portfolios may be feeling uneasy. However, they have little to worry about. “We continue to see sustainable rental income from retail components for established shopping malls for REITs under our coverage,” says Lee Meng Horng, an equity research analyst at Hong Leong Investment Bank Bhd. According to Malaysian REIT Managers Association chairman Datuk Jeffrey Ng, who is also CEO of Sunway REIT Management Sdn Bhd, REITs are doing well so far. “Retail-centric REITs are likely to continue to enjoy growth, both organic and inorganic. We believe they will have a busy year ahead with their various asset enhancement and asset management initiatives,” he says.